After three days of recuperating from my brush with heat exhaustion, I was up and about yesterday, rarin’ to go. I was feeling much better, thank you, but the real motivating factor was the unexpected arrival in the mid-afternoon of the new custom-fitted driver I ordered three weeks ago. The FedEx guy no sooner pulled away than I was out the door and on the range, tipping over a large bucket. In 45-plus years of golf, I’ve never had a custom-fitted driver. My putter is bent to my specs and, a year ago, I took my irons in to have them bent to the proper lie and loft to fit me. But drivers? No. I’ve played the field, aimlessly flitting from driver to driver, a steady succession of off-the-rackers -- new and used -- that worked, semi-worked, worked for a time or didn’t work at all. I have to admit, it has been a failed strategy. I finally sprung for this new driver because it came down to two choices: start hitting more fairways or quit the game for the sake of my blood pressure and my sanity. My problems date back to a year or ago when, for no good reason, I suddenly couldn’t drive the golf ball. What had always been one of the strengths of my game and somehow become my Achilles heel. The longer it went on, the worse it got, and my self-confidence spiraled out of control. On the tee, I would stand over the ball with an electrical storm going on in my head. The result: my first shot would generally sail OB right; on the reload, I’d over-compensate and snap hook it left. Even if I could find that second ball, I’d be lying three in the left rough, usually under a tree limb, with a long approach shot. You can only endure that for so long before you begin spending your evenings sitting alone in the dark, brooding. Desperate for a fix, I have gone through every driver in my considerable basement stash: TaylorMade, Callaway, Titleist, another Callaway, Cobra, my son’s Callaway, a newer Titleist. Each one had a little different shaft, different flex, different loft, different torque, none of which were actually fitted to me. And none solved my tee ball problem. Several revelations finally convinced me to bite the bullet and spring for the $400 custom big stick. One was playing a recent round with a golf writer pal from New York who was in town for the AT&T at Aronimink. This is a guy who I have seen plumb the depths of misery and self-loathing like no one else on a golf course. On any number of occasions, I have witnessed this man lying on a tee box, writhing in agony, often over another wayward tee shot. And yet, there he was a few weeks ago, pounding tee shot after tee shot down the middle of the fairway, smiling and whistling as he went. He showed me his new, custom-fitted driver. Made all the difference in the world. My other justification was, hey, you hit a driver 14 times during a round. Your tee shots are the foundation, the underpinning, of your entire round. Along with the putter, the driver is the most important club in your bag. Rather than waste time running through more ill-fitting, off-the-rack and out-of-the-bin drivers, why not spend the money once and for all to get one custom-fitted. Three weeks ago, I did just that. I went to my nearby big-box golf outlet, found a Fitter Guy and admitted I was powerless over my affliction. "My name is Joe and I can’t hit a fairway," I confessed. He nodded with understanding sympathy. Soon, I was pounding tee shots into a net, as Fitter Guy and I studied the flight paths and patterns on the Fitter Machine screen. My last driver was a Titleist, which I liked, even if it didn’t like me back, so I opted to find something in the Titleist family of drivers. It really is a matter of preference; every major manufacturer has an array of shafts and heads to suit your needs. We quickly determined that my driver swing speed is consistently in 90-93 mph range, meaning I still just barely need a stiff shaft. It was also clear that my tee shots were leaking to the right. I like to think of it as a Jim Furyk power fade, although I don’t know who I think I’m kidding. Anyway, to compensate, I needed a shaft with a low torque. Next, we needed to take into consideration launch angle and backspin. I’ve hit a low ball all my life. My natural swing is also a little steep on the steep side, especially with a driver. Fitter Guy had me try a half-dozen or more different combinations of shafts, lofts and head compositions; then we compared the various ball flight data to determine which was producing the best results for me. 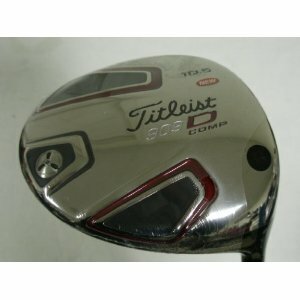 Answer: Titleist 909 DComp, 10.5 loft, with Matrix Xcon5 shaft. The idea was to create a club that helps me hit tee shots higher, with less distance-robbing backspin, while also helping me control my rightward leak. Yesterday, the club showed up and I could not wait to try it out. After a dozen or so 9-iron shots to loosen up, I gingerly unsheathed my new weapon. I was a little apprehensive as I stuck the first tee in the ground; this first shot with a new club is a lot like a first date. First impressions matter. My initial swing was a little tentative but I could not have been more pleased with what I saw: the ball sailing dead-straight and higher than my usual tee shots. I hit another, and another, and another, and each was as good as the last. I was deep into the bucket before I hit my first truly lousy shot, a big banana ball that could not be blamed on the club. By the time I got to the bottom of the bucket, I was berating myself for not doing this sooner. Today, I plan to get in a late-afternoon round, my maiden voyage with the new lumber. I know that this new driver is not going to solve all my problems. I will still miss fairways, I will still hit low screamers. The game of golf will find ways to test our budding relationship. But deep down, I will know that my new driver and I are made for each other. I trust you will bring it to the member/guest next weekend in Durham and blow everyone out of the water. Should I warn Cole you have a new weapon or do you want it to be a surprise? Joe, good luck with the new driver. Hope it works out weel for you. I was at the range last night also hitting balls with a new TaylorMade R9 driver. Bought it slightly used, so it’s not custom-fitted, but I think with work the head and weights I’ll get it dialed in. If you play golf in this heat wave, pay attention to signs of heat exhaustion. It’s a lesson I’ve just learned the hard way. As I write this Sunday morning, I am recovering from what appears to be a classic case of heat exhaustion. I’m weak, woozy, I have very little appetite and the leg cramps are finally beginning to subside. In all my years playing golf on hot summer days, mowing lawns and, years ago, working construction on steamy days in the South, I never felt overcome by the heat like I do now. It began on Friday, when I drove down to the Jersey Shore for a round that afternoon, to be followed by a second round early Saturday morning. When I got out of the car near Cape May at noon on Friday, I was immediately struck by how much hotter and more humid it felt there than it had a mere 60 miles away in Philadelphia. A wall of heat hit me in the face, and for a moment, I questioned the wisdom of spending the next 4½ hours on the golf course. Naturally, we teed off anyway and in no time at all, my shirt was drenched with sweat and I was on my second bottle of Gatorade. By the time we finished the front nine, I was having no fun whatsoever, dreading another 2½ hours in this soup. It was on No. 11 or No. 12 – three hours into the round and on my third Gatorade – that I began to notice I was feeling a little light-headed and faint as stood over tee shots. As we played on, it got worse. Over the next few holes, I became less concerned with whether my tee ball landed in the fairway than I was with whether I could hit it without falling over. 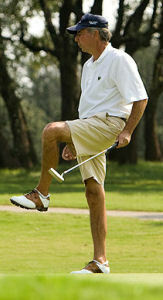 My putting stroke - putting requires the greatest concentration and physical exactitude -- was a joke. I couldn’t sink a straight-in 2-footer because I had no touch, no feel; lag putts came nowhere close to the hole. As we slogged through the final few holes – I was gulping Gatorade No. 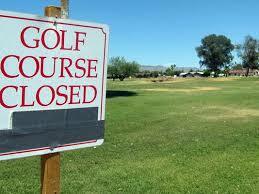 4 – all I could think of was getting off the course, getting into my car and cranking up the air conditioning to max. Headed north on the Garden State Parkway, the light-headedness returned a couple of times, causing me to consider pulling over for a few minutes. I continued on, however, because I was due at dinner with two business associates in an hour and I badly needed a shower – the colder, the better. I made it to the dinner but I had no appetite, as little waves of nausea now washed over me. I nibbled around edges of my dinner and failed miserably at holding up my end of the conversation. All I could think about was getting back to my room and crawling into in bed. By 9 p.m., I was between the sheets, besieged by leg cramps. The next morning, I felt better – not great, but well enough to show up for my 7:30 a.m. tee time. Big mistake. Even at that early hour, it was absurdly hot and humid, and it was due to get worse as the day wore on. I felt okay on the first hole, and the second, but by the third, I was beginning to feel weak and woozy all over again. It only got worse as I struggled to remain standing after each shot. I couldn’t have made a 10-foot putt if I was shooting at a peach basket. By the eighth hole, despite two more bottles of Gatorade and a steady supply of cold, wet towels that had been placed in coolers around the course, I was toast. I couldn’t hit another shot. I told my playing partners I was done for the day. I drove the cart, swilled bottles of Gatorade and began grabbing the cold, wet towels two at a time. When I got home yesterday afternoon, I laid down on the couch and soon fell into a three-hour nap. Today, I’m still not fully recovered. My appetite has not returned and I’m weak. A few minutes ago, when I made a Gatorade run to the grocery store, the light-headedness returned for a moment. 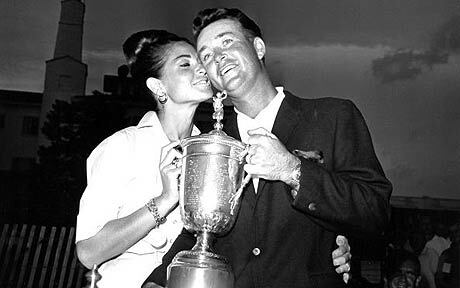 I have a greater appreciation for Ken Venturi’s victory in the 1964 U.S. Open. I have no plans to leave the couch or the air-conditioning for the rest of the day. I’m told it could take a week or more before I feel 100 percent. It’s best to load up on water or Gatorade before playing and then keep going with plenty more as you play. I played last Friday morning at 8am just to beat the heat. Glad to hear you’re feeling better. Thanks. I am feeling better, maybe 90 percent. Since Sunday, I’ve pretty much moved from the couch to the computer and back again, leaving the house only to buy massive quantities of Gatorade. (Grape has replaced red as my favorite). I’m glad to hear your feeling better and there’s no serious effects on your health. I had a simiular experience at Twining Valley about six years ago. I was weak, nauseous and overheating. I couldn’t finish the 18th. I just ran to the clubhouse and drank 3 gatorades and stayed in the air conditioning the rest of the day. This heat this Summer is nothing to mess with. If your feeling not up to playing than your body is warning you to stay out of the Sun. hydrate well befroe going out and make sure you have cold compresses and plenty of ice on hand. Joe, Glad to hear you were smart enough to abandon your second round before it got much worse. I’m also glad to hear that nothing serous happened health-wise. I hope you are feeling better today. I had a few incidents in the past couple of years, but not quite as bad as yours. One was at Wyncote. I was walking on a very humid day in June. I manged to get through 7 holes before I needed to climb into one of my playing partner’s cart. At the turn, I went in to pay for riding the back nine and the owner, who happened to be filming an Indie golf episode that day, told me not to worry about paying, he was just happy that I had the sense to stop walking and get in a cart before they had to call paramedics. The second was at The Rookery in Delaware, which you know, like Wyncote, has very little trees and shade. I got through 14 holes and just couldn’t go on. I had to sit under a little tree between the 14th green and 15th tee for about 30 minutes before I was able to play the last 4 holes. Sports Illustrated is out with its annual list of the Top 50 earning American athletes and, despite his battered and bruised image, Tiger Woods is still No. 1. 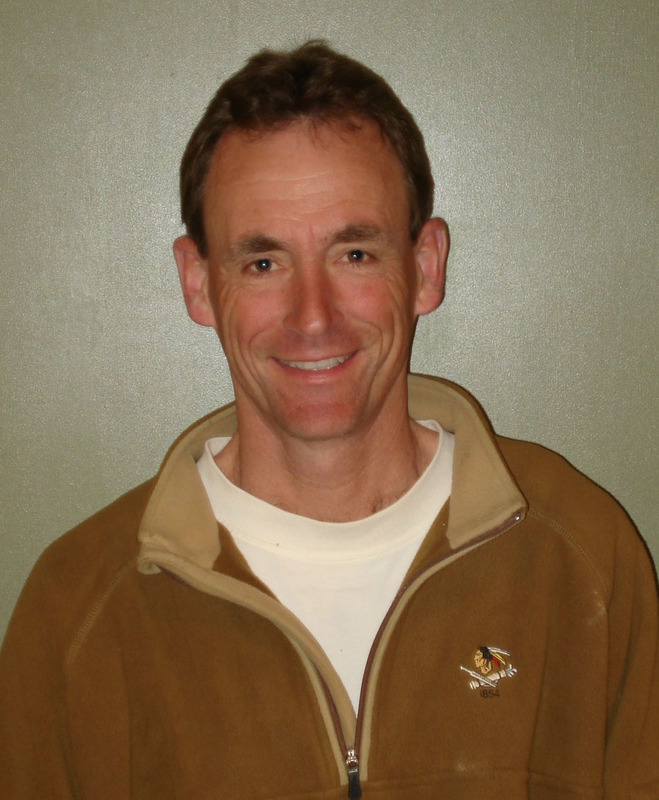 On the golf course, his winnings in 2009 were $20.5 million, thanks to a $10 million payout for winning the FedEx Cup. By the magazine’s best accounting, he pocketed another $70 million in endorsement money. I’ve got one question: Who in the heck is still paying Tiger that kind money? Seriously, $70 million? Just a few months ago, several of his biggest corporate sponsors (AT&T, Accenture, Gatorade) couldn’t get away from him fast enough. 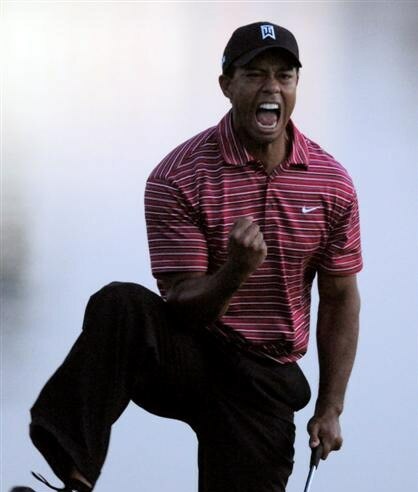 Still, by SI’s tally, Tiger took an endorsement hit in 2009 of $22 million, dropping his total on-course and off-course take from $99.7 million to $90.5 million. Nike famously stuck around, as did EA Sports. But other than those two, you don’t see Tiger featured in too many TV commercials or print ad campaigns. Sales of the EA TW golf game are down substantially.